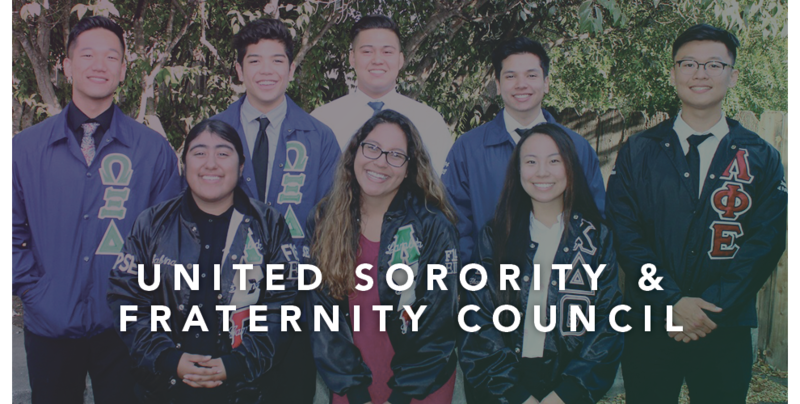 The mission of the United Sorority & Fraternity Council (USFC) is to create a support group to help our organizations present their ideals, voice, and cultural awareness to the Cal Poly community. We will accomplish this by providing better intra-council communication and unity, increasing cultural awareness represented by Greeks in the community, and increasing business efficiency. Though each organization has a specific cultural focus, by no means is membership limited to individuals of those cultures. All that is required is that you enjoy being around the current active members. Membership is decided without regard to race, religion, national origin, disability, sexual orientation, age or veteran status. Every other Tuesday at 7:00 pm in Building 28.